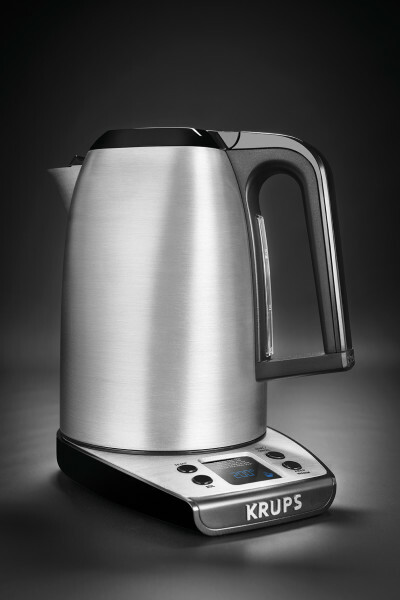 The SAVOY electric kettle is equipped with 7 temperature settings and a 60-minute keep-warm function, to let you enjoy your favourite hot drinks exactly the way you like them. A 360° rotational base provides limitless convenience, with a variety of enhanced features completing the package. 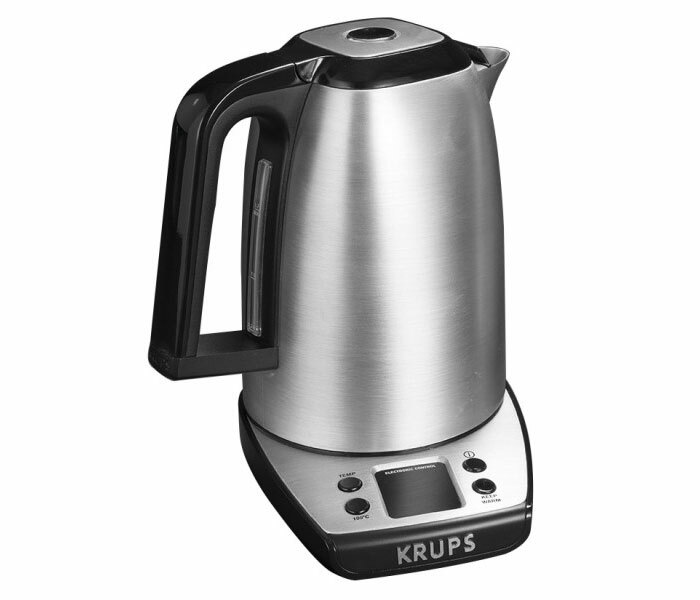 The powerful KRUPS BW314050 Savoy electronic kettle is the perfect product for the discerning consumer. 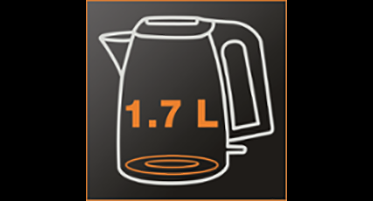 Tea and coffee lovers will enjoy its five preset temperature settings for customized brewing of different type of tea or coffee. 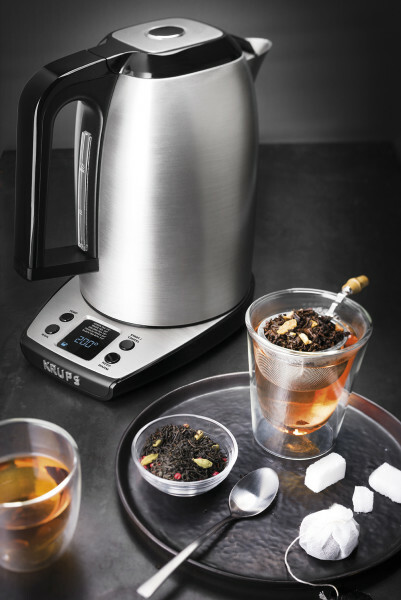 Green, black or white tea, each type requires a specific temperature to ensure optimal flavour and aroma extraction, so you can now be sure to always make a perfect cup of tea or coffee with the KRUPS Savoy Electronic Kettle. With an extra large LCD display, you can easily select the temperature you need for your different kind of beverages at the touch of a button. No need to wait next to your microwave or stovetop anymore while you wait for the water to boil, the kettle will automatically shut off when the water is done boiling or when the kettle is empty – a real safety precautionary measure. 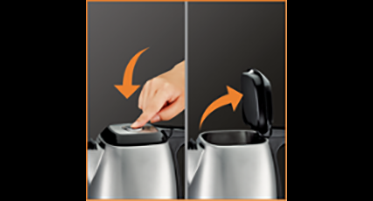 Really easy to use, you can open the lid at the touch of a button and clearly see the amount of water you are pouring in thanks to an extra large water window. 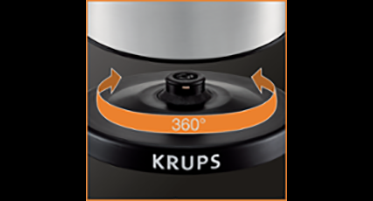 The KRUPS Savoy Electronic Kettle can be lifted off its 360-degree rotational power base for cord-free pouring and easy replacement from any angle. Thanks to the easy to remove anti-scale filter you will enjoy a clean kettle and fresh water for delicious, great-tasting hot beverages every time. 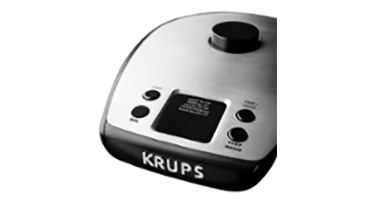 Housed in brushed stainless steel, the KRUPS Savoy electronic kettle looks beautiful on any counter and will prove to be useful everyday, on its own or as part of a matching KRUPS Savoy breakfast collection. Delivering perfect results for everyone's favourite hot beverage, the SAVOY stainless steel kettle is equipped with a generous 1.7 L capacity, ideal for savoring precious moments with friends and family. 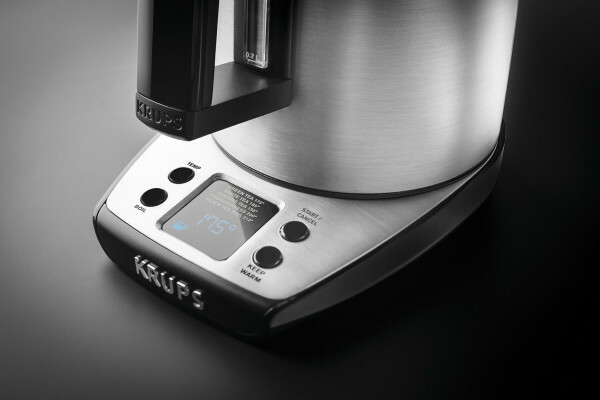 A highly intuitive, crystal-clear LCD screen provides ultimate control and maximum visibility, upgrading the kettle experience with easy viewing for perfect results. 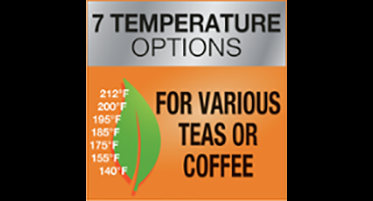 Choose from 7 different temperatures for optimal results on all your favourite infusions and hot beverages, including traditional black tea, green tea, white tea, oolong tea, French press coffee, and more. 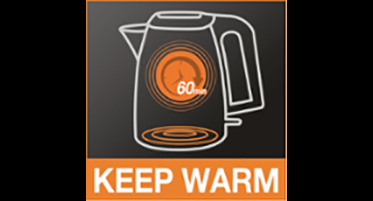 Designed for maximum convenience and versatility, the keep-warm feature lets you keep water at the perfect temperature, ready for use exactly when you need it, up to one hour after boiling. 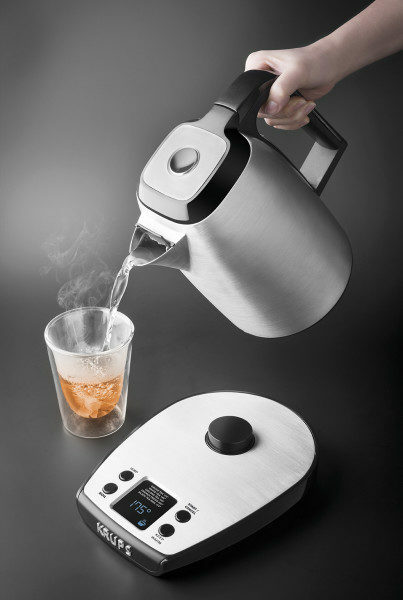 Delivering effortless filling and pouring, the kettle is equipped with an assisted lid opening and a wide spout, to serve all your hot beverages to family and guests with absolute ease. Enhanced ergonomic design comes together with a 360° rotational base, for a cordless kettle that stays firmly in place and can be used from any position or angle with absolute ease. Because power consumption is high, it may emit some heat. Use a power plug exclusively for the kettle. If there is enough heat that it could cause a burn or if the plastic is deformed, please stop use, and arrange a repair and inspection.